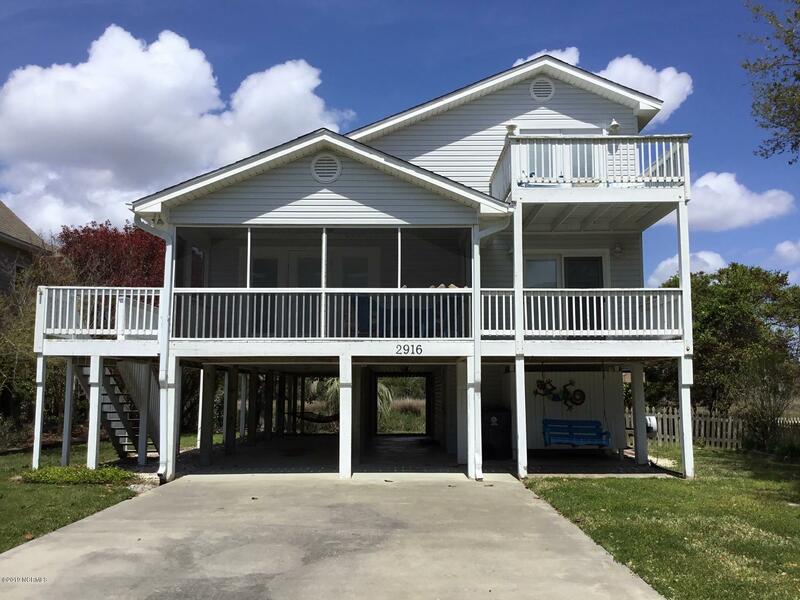 This is what you have been waiting for with 4 bedrooms & located on the slough to sit on your private dock and crab or take a stroll to the beach just a short distance away. Lots of porches (open and screened) and decking to enjoy coastal breezes. Most furnishings included so you can head straight to the beach instead of moving furniture. This house & location has it all including solid surface counters. NOT on rental program so you do not have with others this summer. Outdoor shower & Large storage room under. This home is priced right according to recent appraisal and not expected to last long.